Line 2 is case sensitive. Personalizations can't be name brands (eg. Jack Daniels, Jim Beam, etc... ) due to licensing. Eg. of liquor names or types are: Scotch, Brandy, Tequila, Vodka, etc... . SEE Liquor Name examples on barrels. Line 3 is case sensitive. Spelling and Punctuation will appear exactly as you entered it on your order. Line 4 is a 4 digit year only. 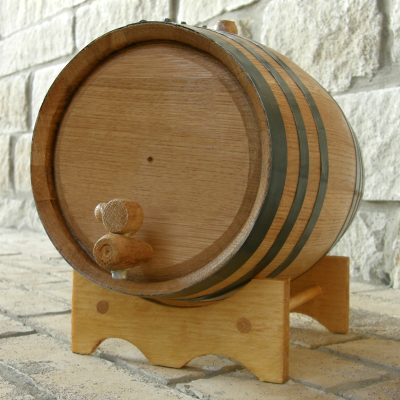 Create this engraved Personalized Cellars Mini Oak Barrel the way you want it. Use for decor or to serve or age your favorite wine or spirit. Comes with three lines of engraved text that you can personalize and one line for your choice of year. 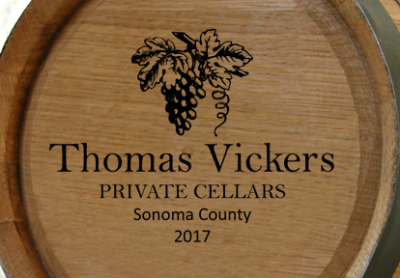 Examples of personalized text below your your name can be PRIVATE CELLARS, ESTATE & WINERY, MAN CAVE, PRIVATE CELLARS, WINE CELLAR, WINERY, WINE BAR, a specific party such as SUPER BOWL PARTY or 40TH BIRTHDAY and a wine name choice.